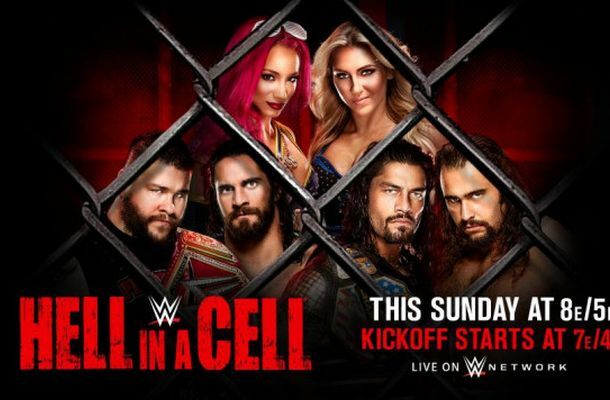 This week, WWE offers up Hell in a Cell 2016. The big question is for this Triple Main Event show – which one will go on last? Will the Charlotte vs Sasha Banks match, Roman Reigns vs Rusev or Kevin Owens vs Seth Rollins match go on last? It’s an interesting one and it seems to have got people interested and intrigued. Really in my opinion it should go by expected match quality. I think it’d be really cool if Charlotte and Sasha go on last and I feel their feud has been good enough to go in that spot – but it also depends on what they have planned. Have the best odds for WWE and cover every event. Now I’m going to be honest – with NFL and NHL all month I’ve not focused on wrestling as much as I should have. So I’m a bit rusty and that will make me hesitant with the tips. In fact I’m not going to officially bet any but just offer my general insights. You’d be surprised how much you miss just from the commentary – you can usually get a good idea of things from that. Roman Reigns (-1500) vs Rusev (+700): This has been an extremely poor storyline and one of the reasons I’ve been tuning out. Just ultimately boring. I could list up a ton of reasons as to why Rusev should win this one but consensus seems to be Reigns and I think we’re ultimately throwing our money away here. I’ll probably bet on Rusev just to give me something to cheer for but Reigns looks to be going over 9 times out of 10 or maybe even 10 times out of 10 so no value. Kevin Owens (-1065) vs Seth Rollins (+555): This has been another disappointing feud but surely at this show they’re going to have an epic match. You’d hope so anyway. This is similar to the Rusev match – I really can’t see any reason that Rollins can win and I think you’d be blowing your money by betting on him. Sasha Banks (-320) vs Charlotte (+240): Personally I think Charlotte is worth a quarter unit bet here at her price. It’d be a big moment for Sasha to win here but I know there’s a lot of crazy politics involving the Womens title and I know Charlotte comes out on top often when that happens. I’d place a small bet on her here. Brian Kendrick (-260) vs T.J. Perkins (+170): This should be a solid enough match. I feel Kendricks role is used up and he’s did his job. This one for me is about a 50/50. I think there’s just enough value for a small quarter unit bet on Perkins. The New Day (-145) vs Cesaro/Sheamus (+105): I’m digging Cesaro and Sheamus as a team but they just aren’t strong enough to take the titles. At these odds the New Day are worth a small bet. Gallows/Anderson (-460) vs Enzo Amore/Big Cass (+320): WWE have booked Anderson and Gallows so poorly lately that the more over Enzo & Cass are worth a bet. The Club need the win more but I am surprised how big a favourite they are and would be betting a small amount on Enzo and Cass. Bayley (-1350) vs Dana Brooke (+650): WWE seem to be really screwing up Bayleys WWE career at the moment so it wouldn’t shock me to see Dana get a surprise win. Alexander/Dorado/Sin Cara (-475) vs Nese/Gulak/Daviari (+325): Should be an interesting match. Honestly I’d go by the rules here of Sin Cara being the most notable to his team wins. No bet. Anyway I’ll try and get my focus going for Survivor Series coming up. I’ll be at that show so hoping to watch the build-up.